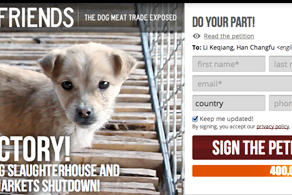 Please help us stop the meat trade of dogs from Myanmar to China, and sign this petition! A great activist group who work politically in China to ban the trade. An easy way to help in your own community.